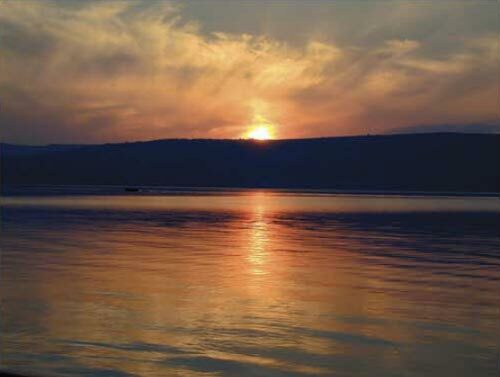 Today we are celebrating Shavuot a few hours early as it actually begins tonight at sunset. But since we don’t have our own facility yet, we have to be a bit flexible. So what is Shavuot? How many of you have never celebrated Shavuot before? Today we will be looking at several aspects of this feast and why it is significant. In ancient Israel agriculture was the basis of the economy, and the nation’s wealth and welfare were tied to the Land. God wanted Israel’s approach to agricultural success to be different from that of all the other nations. If we obeyed God and His Word, there would be plenty of rain and an abundant harvest. If we disobeyed, we would find a shortfall at harvest time. On Shavuot the nation of Israel was expected to bring the first fruits of the wheat crop to God. Giving the Lord the firstfruits of the harvest was a way of showing Him our gratitude and declaring that all our wealth ultimately comes from Him. It is right to offer to God the firstfruits, the beginning and the best of the harvest. Therefore Shavuot teaches us to regard all of God’s gifts with gratitude, returning to Him, in the form of the firstfruits, that which we receive. During Passover we offered to God the firstfruits of the barley harvest. That was symbolic of Yeshua’s resurrection. 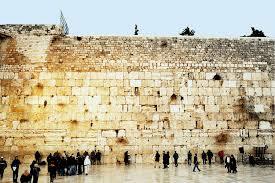 Fifty days later we returned to Jerusalem to offer the firstfruits of the wheat harvest. The harvest was extended from the barley to the wheat. Fifty days after Yeshua rose from death His first Jewish followers were gathered together in Jerusalem and the Spirit that raised Him from the dead was poured out on His first disciples. The Messianic Community, the Body of Messiah, came into being. God’s harvest was extended to more of humanity. That happened on the day of Shavuot, in fulfillment of Shavuot. One name for Shavuot is “Atzeret shel Pesach,” the completion of Passover. Messiah Yeshua died on Passover to atone for sin, then He rose from death to overcome death. Forty days later He ascended to heaven, and from there He sent His Spirit on Shavuot to enable us to overcome sin and experience victory in our lives. The coming of the Ruach HaKodesh (the Holy Spirit) completes the work of the Passover Lamb’s death on the cross. The Spirit of God indwelling us gives us the power we need to overcome our tendency to evil and completes the work of salvation. Though marvelous in its own right, God knew that the death of the Passover Lamb and the redemption from sin was not enough. Just as the cycle of the Spring festivals would be incomplete without Shavuot, the work of salvation is not complete until a man’s sin nature has been dealt with and the power to overcome it has been granted. Therefore, Shavuot is a time when we thank God for His gracious provisions in our life, both for His material provision, the firstfruits of the wheat harvest, and for His spiritual provision – the Holy Spirit which brought a rich harvest among those first Messianic Jews in Jerusalem. The Megillah of Ruth is one of the texts that is read on this holiday. Megillat Ruth is about the harvest, but also included the message of gathering Gentiles into the commonwealth of Israel. Ruth, a Gentile, joins herself to the Jewish people. Speaking to Naomi she says, “Your people will be my people, your God will be my God.” Ruth later marries a Jewish man by the name of Boaz, and from that union, in the third generation, came King David, and through him, King Yeshua. Why were two loaves of bread waved and not just one big loaf? These two loaves of bread can be understood to be symbolic of the two peoples that make up the Messianic Community. In Romans 11 Rabbi Paul talks about the Olive Tree of salvation and blessing made up of the original branches, the Jewish people. Then wild olive branches, the Gentiles, were grafted into the olive tree. It could be that the two loaves represent the original branches, the Jewish people, and the wild branches, the gentiles that we grafted into the Olive Tree. Each one is incomplete without the other. The Jewish loaf needs the Gentile loaf to be complete, and the Gentile loaf needs the Jewish branch to be complete. On Shavuot we remember and thank God for “Mattan Torah,” the giving of the Torah at Mount Sinai, one of God’s greatest gifts to us. It was about this time that the Ten Commandments were given to the Jewish people. 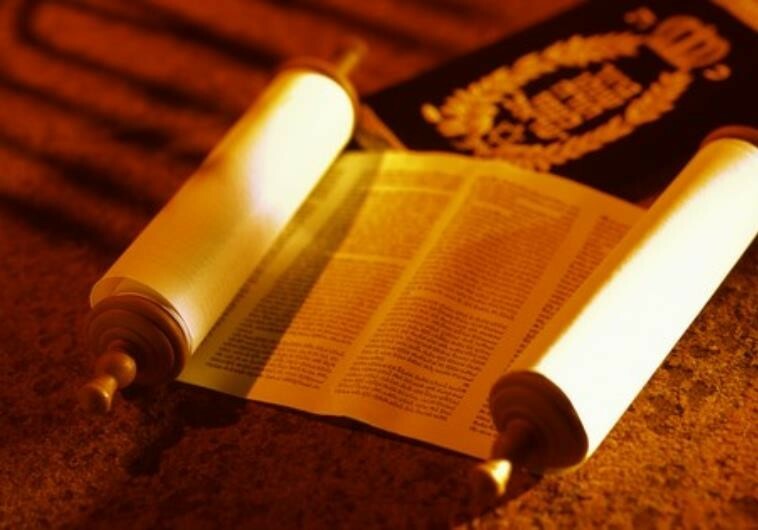 Torah means more than just “Law;” it means “teaching or “instruction.” Through the Torah God clearly communicated to us His ways, His nature, and His will for us. Today, Shavuot is a time when religious Jews will stay up late into the night studying the Torah and reading from the Psalms. On Shavuot we also remember “Mattan Ruach,” the giving of the Spirit, the One through whom God writes His law on our hearts. The Spirit gives us the power to live out the full spiritual intent of the Torah. We don’t dismiss the Law when we have the Spirit. On the contrary, the Law becomes alive to us. At the deepest level of our hearts, it becomes our desire to please God and to fulfill all His commandments. Law, by itself, has an inherent weakness. It lacks power. Lawmakers may pass laws, but that doesn’t mean the people will have the desire or the ability to comply with them. 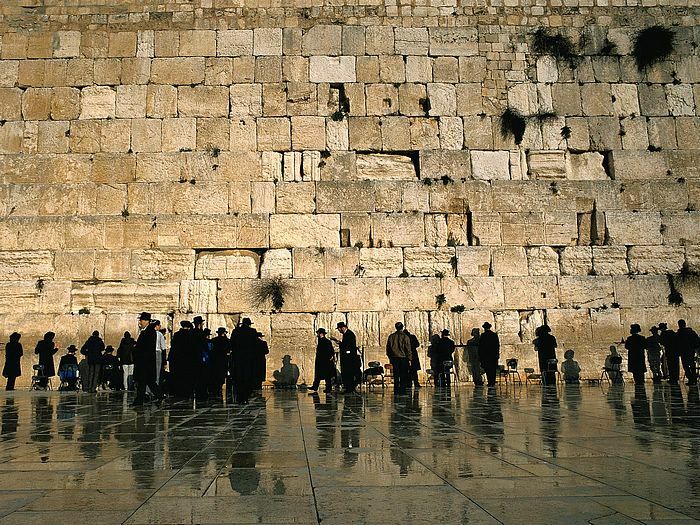 The rabbis determined that Shavuot was the same time when the Jewish people received the Torah on Mt. Sinai. While Moses was up on Sinai receiving the Torah, Israel was at the bottom of Sinai worshipping the golden calf and breaking the Law. Moses came down from the Sinai, saw what was happening and called out, “whoever is for the Lord, come to me.” The Levites came to Moses and they went throughout the camp of Israel and killed three thousand Jewish men who lead that rebellion of false worship. Three thousand Jewish men were killed on Shavuot when the law was given. When the Holy Spirit was given another three thousand Jewish people came alive! At the time the Law was given (Exodus 32:19-29), three thousand Jewish men were put to death because their actions were now deemed “illegal,” they were weak, and the giving of the Torah alone didn’t strengthen them. But the Spirit gives us a new desire to fulfill God’s Torah and the power to do so. The Spirit gives us power to live, power to witness, power to please God, and power to have victory over the world, the flesh and the devil. It is hardly coincidental that, on the day of Shavuot when the Spirit was given, three thousand Jewish men were empowered to witness to Yeshua and His Resurrection Life. Prior to the coming of Messiah, the ministry of the Spirit was limited. He seems to have come upon fewer people, to a lesser extent and for a shorter duration of time. King David had to pray, “Do not take Your Holy Spirit from me.” The full indwelling of God’s Spirit was not to be realized before Yeshua died. The indwelling of the Spirit is the greatest gift we can receive in this life. He regenerates us when we are spiritually dead, and revives us when we are spiritually cold. If it weren’t for the work of the Spirit none of us would have any spiritual life at all. The Spirit also baptizes us into the body of Messiah. He joins us, both to the Father and to one another. Believers in Yeshua all share the same Spirit. We have a new unity and oneness with each other. We are no longer alone, but are part of an eternal community. The Spirit assures us of eternal life and that we truly belong to God. “You have received a spirit of adoption as sons by which we cry out, “Abba! Father!” The Spirit Himself bears witness that we are children of God (Romans 8:15-16). Do you have that inner witness of the Spirit that God is your Father, and that you are truly one of His? The Spirit of God guides our prayers. “We do not know how to pray as we should, but the Spirit Himself intercedes for us with groanings too deep for words.” (Romans 8:26). The Spirit gives gifts to every child of God. Every believer has at least one gift from the Spirit, and you are expected to put yours to good use. Ask Him to reveal what your gifts are and then start using them. There is one last thing I would like to leave with you this morning and that is a comparison between the unleavened bread of Passover and the leavened bread of Shavuot. We all know that in the Bible, leaven is analogous with sin. Paul said it only takes a small amount of leaven to affect the whole loaf. It is the same with our lives. Just a small amount of sin that is allowed to grow will eventually affect your entire being. So, if leaven is such a bad thing, why was is specified for Shavuot. Because that was the time that God blessed his people with the Torah and then he blessed all of mankind with the Holy Spirit. The leaven shows us that God does not use perfect people. He uses imperfect people. People just like you and me to accomplish his purposes. Don’t wait to come to the Lord until you are ‘good enough’. You will never be good enough. Come as you are. Today is the day of salvation. Don’t let anything or anyone stand in your way. Won’t you come to Yeshua today?